The Evelyn Frye Center is expanding; more clients served, more services offered. Consequently, we are actively seeking well-trained, experienced behavioral health care providers. We are especially interested in contracting with clinicians who are dedicated to their own personal and professional development, have excellent interpersonal skills, adhere to the highest ethical and professional standards, are excellent collaborators, and work well with clients, with other professionals, and with a professionally trained business staff. The Practice is currently recruiting clinicians who are licensed to practice in the State of Tennessee to work from 10 hours per week up to 40 hours per week as independent contractors. Individuals who are credentialed with managed care networks and who are willing to work evenings or Saturdays will be given priority in our hiring process. To be eligible to contract as a Psychologist, a Licensed Clinical Social Worker, or as a Licensed Professional Counselor, you must have at least two years of post-licensure experience. At least three years of post-licensure experience is preferred for a Board Certified Advanced Practice Nurse and for a Psychiatrist. A steadily growing, diverse new client flow in the clinician’s area of expertise. An opportunity to provide services to a diverse client population. Assistance facilitating emergency hospitalization for clients when needed. Optional weekly peer consultation meetings. 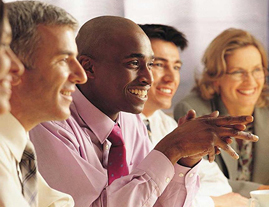 An ethical and professional work environment that supports the growth of all staff members. Opportunities to cross-refer among disciplines and areas of expertise within the practice. The advantages of solo practice without the hassles. A safe and aesthetically pleasing work environment. A licensed professional provides on-call services 24/7 for client emergencies. Opportunity to become part of a collegial, multi-disciplinary clinical team. Regular Training Opportunities to satisfy Category I and II CEUs through participation in Center-sponsored programs. The Evelyn Frye Center’s greatest resource is its people. We have staff continuity and stability because they are valued and are well compensated, treated fairly, and work in a stable, positive, discrimination- free environment. As a result, we have developed a superior team of behavioral healthcare providers who exemplify excellence in all of their interactions with clients and staff. race, religion, age, gender, and sexual orientation. Our clinicians abide by the code of ethics of their respective professions and by the laws of the State of Tennessee and those of the United States of America. We strive to promote the benefits of medical, spiritual, educational and psychosocial interventions with our clients.